First American Home Warranty Reviews - Right Home Warranty for You? Established in 1984, First American Home Warranty promises to offer smart, simple, and affordable one-year service contracts that can help protect you from unexpected repairs to major systems and appliances. By maintaining a network of independent, prescreened contractors and qualified technicians who provide 24-hour online or phone service requests, the company advertises they serve more than 550,000 customers and spent more than $143 million on repairs and replacements in 2015 alone. Does this necessarily mean they’ll help you enjoy your home and protect your budget, as indicated on their website? Are they the right home warranty solution for you? Buying this type of coverage isn’t exactly rocket science, although this article will cover several important pieces of information you’ll need to consider before making a final decision. Let’s begin with the basics. What’s the Difference Between Home Insurance, a Home Warranty, and a Home Service Contract? While a home insurance policy, a home warranty, and a home service contract all protect your property in the event of an unexpected loss, the specific coverage they provide is often very different. For example, lenders require home insurance if you have a mortgage, since these policies provide the broadest coverage against perils like fire, windstorms, hail, lightning, and vandalism. Like any other type of insurance, coverage can be customized based on your needs and will be subject to different guidelines, depending on the state in which you live. On the other hand, the Federal Trade Commission explains that “warranties for newly built homes generally offer limited coverage on workmanship and materials relating to various components of the home, such as windows, heating, ventilation and air conditioning (HVAC), plumbing, and electrical systems for specific periods. Warranties also typically define how repairs will be made.” They’re also free. Finally, extended home warranties or service contracts like those offered by First American come at an additional cost, and cover aspects not normally addressed by homeowners insurance or new builder warranties, specifically against wear and tear. These include breakdown to HVAC systems (including ductwork), appliances like dishwashers, refrigerators, hot water heaters, and washing machines; central vacuum systems, and so forth. How Does First American Home Warranty Work? If you’re an individual who’s not part of a real estate transaction, First American currently offers two different warranty plans to homeowners in 38 states: AL, AR, AZ, CA, CO, DC, DE, FL, GA, IA, ID, IN, KS, KY, MD, MI, MO, MS, MT, NC, ND, NE, NJ, NM, NV, OH, OK, OR, PA, SC, SD, TN, TX, UT, VA, WA, WV, and WY. Premier: Adds coverage for central vacuum system, ductwork, electrical, garage door opener, heating, plumbing (including stoppages), and water heater. Unlike many competitors, First American advertises they’ll cover your system or appliance regardless of age, as long as it’s “in safe, working order before the start of your contract.” Speaking of which, to gain additional insight into exactly what’s covered, take a look at their Western states contract. Pro tip: As with most home warranty companies, keep in mind that First American has a 30-day waiting period built into their contracts before you can request service. Afterward, there are no limits to the number of service requests you can make during your contract, although you'll pay a service fee of between $50 and $100 each time. The exact fee will be outlined in your contract. Upon placing your request, a service provider will contact you to schedule an appointment. Once at your home, they’ll confirm coverage, diagnose the problem, and then begin the repair or replacement process. How Much Does First American Home Warranty Cost? For single-family homes under 5,000 square feet, First American’s Basic plan starts at $245 per year, while Value Plus starts at $380 and Premier at $460, annually (you’ll need to call if your home is over 5K square feet). Keep in mind that price can also vary based on location, as well as property type (e.g., multiple units, condos, townhomes, mobile homes, guest homes, etc.). According to the fine print on their website, their contracts are noncancelable mid-term. For additional insight, support can be reached at 800-992-3400. Between sites like Consumer Affairs, the Better Business Bureau, and Yelp, we encountered more than 5,500 combined customer reviews for First American Home Warranty. Consumer Affairs and BBB customers had given the company an average rating of about 3.3 stars, with common compliments citing competitive price and ease of use (opening coverage, filing a claim, etc. ), while complaints frequently revolved around claim denials and less-than-stellar service provider experiences. On Yelp, they held a meaningfully lower average rating of about one star, with many of the same complaints. 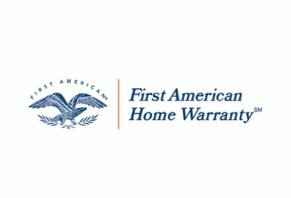 First American Home Warranty is part of the First American Financial Corporation family of companies, who are based out of West Hills, CA and has been in business since 1984. They held a B rating with the Better Business Bureau, based on more than 3,200 closed complaints, as of 5/30/18. Again, when details were available, the majority referenced claims, coverage, and customer support issues, although a company representative responded with a resolution in each instance. According to a 2014 Los Angeles Times article, organizations like Consumers’ Checkbook and Consumer Reports emphasize you might be better off placing money into an emergency repair fund instead of purchasing a home service contract. What are the best criteria to use when deciding which of these companies, if any, is more deserving of your money? “When you’re shopping, compare specific manufacturers and products. You might find that some service contracts give you the same coverage you get from the warranty that is included in the purchase price. To assist with this, any company you’re considering must offer a copy of their contract to read before you buy. If not, they’re breaking the law. How does all of this stack up for First American? First American Home Warranty has been in business for more than three decades, seems to provide pricing and coverage in line with many of the popular competitors, and comes with mostly positive online customer feedback. Just keep in mind that like most other companies in the industry, unless the state you live in mandates a ‘cooling off’ period, it doesn’t appear refunds are available after initiating your warranty contract. I’ve been with First American Home Warranty for over five years; I dealt with them several times in the past for issues around the house. I was pleased with the service, and I recommended them to many of my friends and my clients. Recently, I had an issue with my fridge and it has been an ongoing project for three months. Three different contractors worked on it and it has not been fixed yet. I felt that First American pushed me around and gave me a run for my money with very poor customer service and communication from most of the reps and the contractors. They don’t believe their customers and I think they are in business to make their contractors rich, not to solve issues for their customers. Write a Review for First American Home Warranty!